Version 2.5 of both the MSTW League Manager and the MSTW League Manager Plugins have been released. A couple of new shortcodes have been added, a couple of minor bugs fixed, and some mods have been made in preparation for some new admin features and plugins. 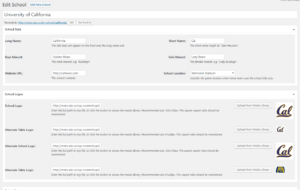 MSTW League Manager update should come up on your admin Dashboard -> Plugins. If you have purchased the add-ons, you should be able to access the update using the same link you received originally. If not, just let me know. o MSTW Bracket Builder Premium version 1.3 has been released. Read more about it here. o New releases of MSTW League Manager and League Manager Add-ons are coming very soon. They contain a number of new shortcodes, some back-end admin features, and some enhancements to better support those of you building sites on the MSTW plugin framework. o A minor build of Team Rosters is coming soon. In addition to a number of “maintenance items”, it will include a new shortcode for a player gallery view of a table of player photos. o A major build of Team Rosters is planned for later this year. In fact, it will probably be an entirely new plugin in order to clean up a number of issues. 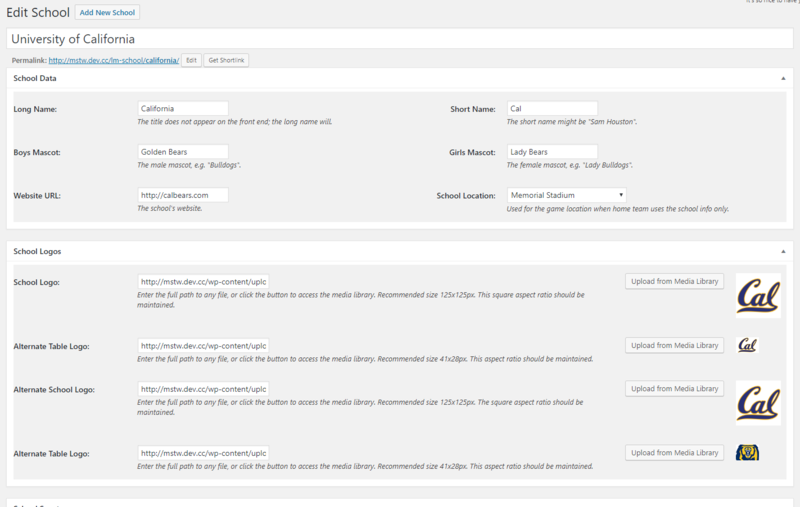 It will update the plugin’s database structures so that rosters will work seamlessly with the League Manager teams. The plan is to migrate existing rosters – teams and players – to the new structure automagically. If you are code savvy, you can open the mstw-lm-admin.php file in your site’s plugins/mstw-league-manager/includes directory and remark out line 98 that includes the mstw-lm-duplicate-teams-class.php file. Pull the mstw-lm-admin.php file from the development trunk on wordpress.org ( https://plugins.svn.wordpress.org/mstw-league-manager/trunk/includes/ ). Right click on the file and select Save Link As from the pop-up menu. This is download the file to the location you choose. De-activate and delete the plugin from your site, and re-install and re-activate it. MSTW League Manager version 2.4 is now available at WordPress.org (League Manager). The Update Games screen can now be filtered by sport and date in addition to league and season. 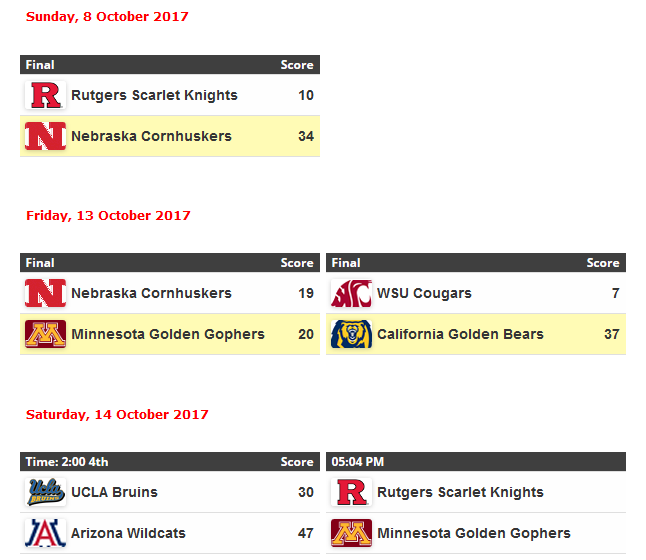 For example, it’s now easy to filter and update all the football games on a Friday night. A bug was corrected in the Date Picker. It now functions properly across several screens. MSTW League Manager and MSTW League Manager Add-ons version 2.3 are now available on WordPress.org (League Manager) and the MSTW Store (LM Addons). Added new fields for games: “Game Name”, “Status Replace”,and “Status Append”. 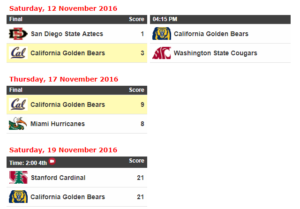 These fields modify the game time/status/result blocks in all front end displays: schedule tables, tickers, sliders, and galleries, and the single game page. Fixed a bug with the Google Maps link images in the Venue Table. In this release, there is no new functionality in the addons, but the plugin has been modified to support new features in League Manager. It is always recommended that you keep the releases in sync. The multi schedule shortcode [mstw_multi_schedule_table leagues='league-slug-1,league-slug-2'] provides functionality that is very similar to the multi standings shortcode. A drop-down control with the leagues (or groups in the case below) passed in the leagues argument, and a drop-down control with the seasons for those leagues are provided. The table then shows the schedule for the selected team in the selected season as shown in the screenshot below. A typical way this might be used is to display the current and all the archived seasons for one league using relatively little screen space. MSTW League Manager 2.2 and MSTW League Manager Add-ons 2.2 are now available on WordPress.org (League Manager) and the MSTW Store (LM Addons). The MSTW League Manager Add-ons are designed for websites that use MSTW League Manager to maintain multiple league schedules, and large numbers of teams and games. MSTW League Manager 2.2 has been enhanced to better support the features of the LM Addons for large sites, but it will run just as before without the add-ons. The School (or organization) database allows Teams to be assigned to schools. Any missing team data – names, mascots, logos, etc. – is inherited from the teams’s school. This greatly reduces the data entry requirements when teams are moved forward to new years/seasons. The Sport database allows Sports to be assigned to Schools. This association may then be used in page templates, which can greatly reduce the number of pages and their maintenance for websites with large numbers of leagues, schools, and teams. Changed a ‘design decision’ that prevented more than 300 games from displaying properly in sliders and tickers. In addition, a SCHOOL Scoreboard shortcode has been added to the existing LM Add-ons shortcodes for TEAM sliders, SCHOOL sliders, SPORT sliders, and LEAGUE Scoreboards. TEAM, SCHOOL, and SPORT tickers and a SPORT scoreboard are on the drawing board for a future releases, which will be included as part of the plugin’s support. Read more about these features in the MSTW Store and on the MSTW League Manager Add-ons man pages. Extensive work done in the plugin’s default stylesheet (/css/mstw-bb-styles.css). The tournament brackets display beautifully in my development theme (a WP Twentyeleven child theme). See http://dev.shoalsummitsolutions.com/t-test/. Some CSS work may be required for your theme. The primary driver is the width of the bracket’s containing element. It should be at least 750 pixels wide for basic single elim brackets and 900 pixels wide for double elimination brackets with consolation games. Fixed bug that displayed -1 in the League column of tournaments table on the Tournaments screen when no league has been selected. Fixed bug that displayed -1 as the team name when no games had been entered (updated) on the Update Games screen. Updated the users manual. Check it out at http://shoalsummitsolutions.com/category/users-manuals/. Restructure tournament set-up. The current tournament setup of the first round is awkward and non-intuitive. We will try to improve it. The improvements will also accommodate the two enhancements described below. If you have some suggestions, please send them along ASAP. Better display of multiple first round BYEs. Ever build a 10 team tournament? It’s annoying to deal with six first round BYEs, and the team receiving the BYE can be advanced to the second round, the first round byes need not appear in the graphical display of the bracket. Group or round-robin play. There have been many requests to better incorporate group play to fill the bracket (or knockout round). Round robin play can be handled with (small) leagues in MSTW League Manager. How we can do this without further complicating the first round setup remains to be seen, but we’ll push the rock some distance down the road. If you have already purchased version 1.0 of the plugin, you should be able to download version 1.1 using the same link you received with your purchase. Otherwise, what are you waiting for? You can purchase the plugin from the MSTW Store. Nonleague games are now shown by default in all displays. So there is no need to use the show_nonleague=1 parameter. If you DO NOT want to show nonleague games, then set show_nonleague=0. Games can now be marked as postponed in the DB and in the front end displays (shortcodes). Fixed bug that prevented display of the media column’s data in schedule tables. Minor clean-up of CSS stylesheets in a number of areas. It should show up in your Dashboard Plugins page, or you can download it from WordPress.org. Both updates address a number of issues with the layout of the bracket view (shortcode), and a couple of bug fixes on the admin side. The bracket layouts are now close to “pixel perfect” as you can see on the MSTW Dev site. The change logs provide more detail. Support for double elimination tournaments. Schedule the 1st round by established seedings (1v8, 2v7, etc), or with user-defined game pairings. Automatically handle of “BYEs” (free pass to next round). Automatically advance winners – winner is advanced to next round when game goes final (as well as first-time losers for double elimination brackets). Specify and display home teams (very important for some sports, or just identify who is wearing white). Thanks to those of you who have helped me improve both plugins by bringing problems to my attention. As always, please contact me through the user support forums with any questions, problems, issues, or improvement suggestions.